Here in the U.S., we are bombarded with an almost constant barrage of information about the benefits of exercise. And those benefits are real. 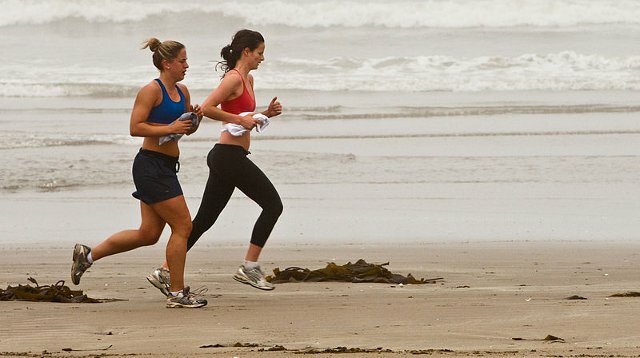 For example, exercise may help prevent at least 35 chronic unhealthy conditions and premature death. Despite all of this, something like 90% of us over the age of 12 fail to get as much exercise as we should. This is almost certainly not because we don’t believe in those benefits. Instead, it looks like at least part of the reason may be that some of us are genetically programmed to hate exercise. The evidence that genes play a big role in people’s interest in exercise comes mostly from twin and family studies. For example, a recent report found that genetics explained 47% of the behavior of people who like to exercise and 31% of the behavior of those who avoid exercise whenever they can. The rest of the reluctance to or enthusiasm for exercise can be chalked up to environmental factors like already being overweight or coming from a family that doesn’t exercise or about a thousand other possibilities. What makes the obviousness of exercise motivation genes interesting is that if there is a biological link to lack of enthusiasm for exercise, then there is a chance that we might one day be able to tweak things to make exercise enjoyable for everyone. With a gentle prod from these new meds, people who get no thrill from exercise might now be able to love it. The health benefits of such a treatment would be staggering. The best chance in the short term for finding the biological reason behind why some people like exercise more than others is probably in rats. Studies on rats have shown that not wanting to exercise is a trait that can be passed down generation after generation. And scientists have even started to figure out the differences between the brains of rats that love to exercise and those with better things to do. 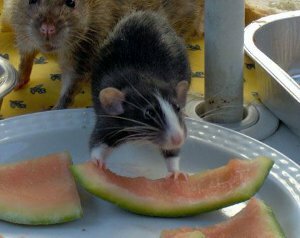 The rat story starts a few years ago when scientists noticed that some rats loved to run around on their wheel all night while others liked doing that a whole lot less. These scientists then took the most enthusiastic exercisers and put them together so they would breed. They did the same thing with the least enthusiastic rats. They repeated this for each group for ten generations. In the end, the researchers found that a huge gap had developed between these two groups in terms of their desire to exercise. These scientists had selectively bred two groups of rats that could now be compared so as to identify the biological reasons for their differences in behavior. Previous work had pointed to a part of the brain called the nucleus accumbens (NAc) as being important in exercise motivation in rats. This make sense as this is the part of the brain that acts as a reward center for voluntary sorts of actions. Using a variety of techniques, researchers in a recent study not only confirmed that a key difference between the two rat groups was in the NAc part of the brain, but they were also able to make an educated guess about what that difference might be. It turns out that rats that don’t like to exercise have more immature neurons in this part of the brain. And conversely, those that really liked to exercise had more mature neurons. Liking exercise has to do with maturity! This finding in no way explains everything about exercise motivation in rats. But it is a great start that points scientists in the right direction to learn even more. If these sorts of findings translate to people, then we may one day find a way to help more people get motivated to get some exercise. Then we can finally shut all those people up who keep badgering us about exercising. We can learn a lot from rats that like to exercise.